In the published photo, Luna held a bouquet of flower on her hand and smiled. 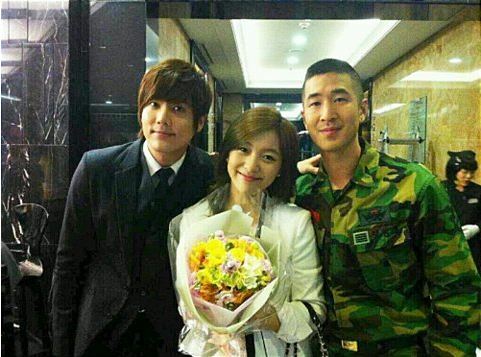 On her side were Kim Kyu Jong and Yoon Joon Sung who are co-starring with her in TV Chosun drama series “Saving Madame Go Bong Shil“. Netizens commented, “Luna between brothers is cute,” “The smile of Luna is beautiful,” “Actress Luna did well,” “Time really flies, coming to and end,” “Want to see Luna is other films,” and so on.